You were and you still are. 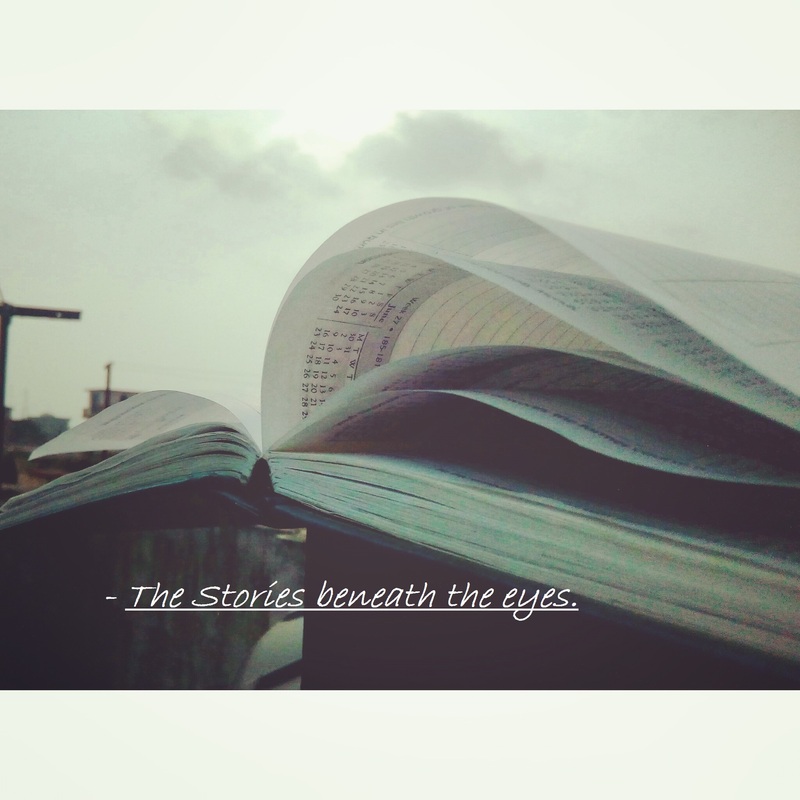 | The Stories Beneath the eyes. It was the unpermitted, initially I suppose. I do not know that if you know. Nothing was better against this Noetic Cline. For you were shine, still are. For you were frolic, and still you are. fixed gazes over the fence, all in vain. The Dazzling, the Dancing Star. Pinned across the walls dividing, are the fragments grown. Maybe unknown, to the world. Or to the girl who is the world. A Vehement face versus the Lachrymose do nots. It were the rains, then came the winters. And then we leapt together, into the summers. Even the autumns stopped by. And the thunders, they roared from the sky. Then came our shrinking and trembling fingers. The summers bloomed you and me into her flowers. And in the autumns, we dropped down in for the cry. The thunders, they never scared me. But I chuckle to this, that you did. And how you always made my eyes dry. and of all those meanings you tend to portray. Your quiddity answers them all. If one looks deep enough or simply fall. and still intend to search for more. For I have an insatiable thirst. You at that end and I stay at this. For you were the Melodious Harp, still are. For you were the Curious Lark, you still are.